BJTOTO rebound from RM4.38 support level. 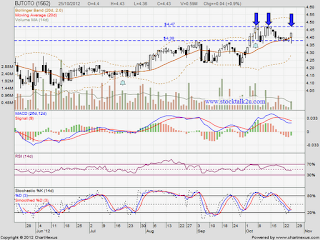 Will it break through RM4.47 resistance level? 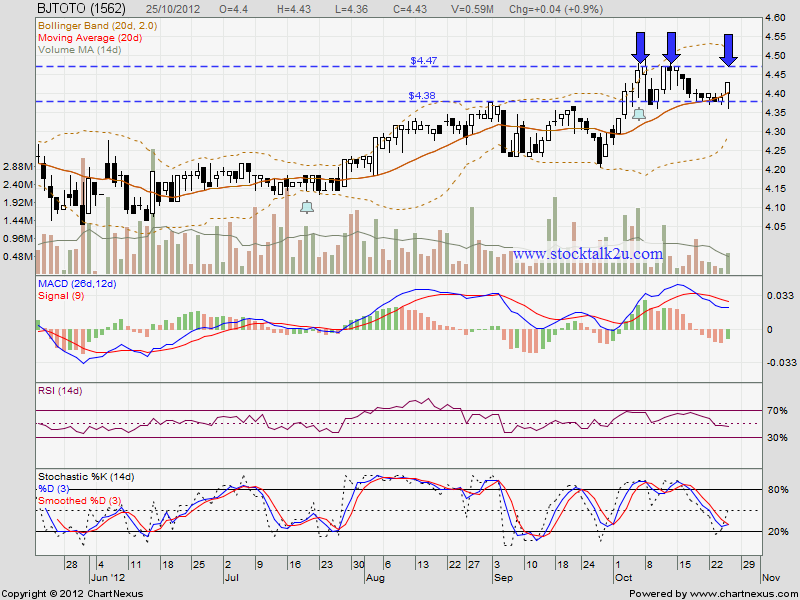 High probably it will retest RM4.47 level. If the bull strong enough, it might break through & formed higher high. If retrace down, immediate support @ MA20 level. Do watch out coming quarter result, which will announce around mid of Nov.